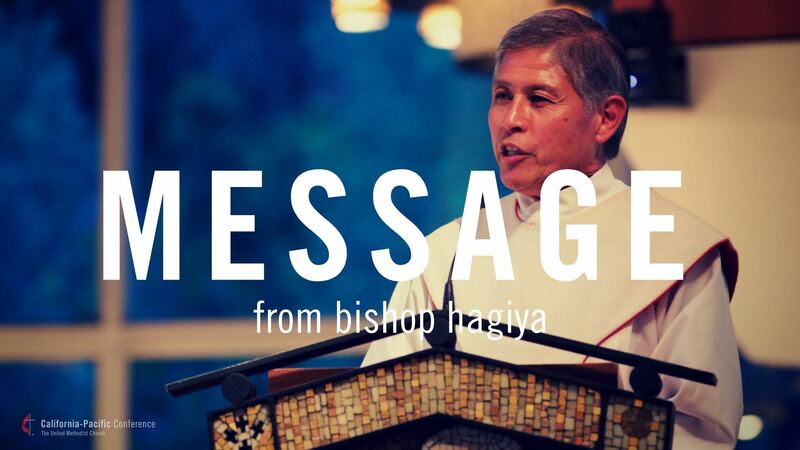 By now you have probably seen or heard of our Council of Bishop’s press release on our discernment and decisions concerning the recommendations coming from the Commission on the Way Forward. I think this vision statement captures exactly what must be the main priorities: Our UMC mission, contextual space, and unity. Equally important is the fact that our unity must not be contingent on the one issue of human sexuality, but only on our Triune God whom we give our deepest loyalty. We will dialogue deeply on our specific options once the final document is translated and distributed in public. We will hold sessions at our upcoming annual conference in Redlands, and also have planned regional events throughout the Area after annual conference. Please plan to take part in at least one of these sessions to listen deeply and voice any of your concerns. Let me close with a word of hope. I believe God is in our midst through all of our trials and challenges at this time. I believe that the Holy Spirit is blowing a new wind of life and love to our United Methodist Church, and we will endure whatever changes that our church votes to affirm. I believe that our United Methodist Church center will hold together, and even though some will leave, the vast majority of our church will stay unified, and we will fulfill the mission that God has placed before us. May it be so in the very name of our Savior, Jesus Christ!